Home > Blog > Skin Ceuticals > ANTI-AGING SKIN PRODUCTS…based on Science. ANTI-AGING SKIN PRODUCTS…based on Science. Get the real scoop on what works and why! At Essence Laser & Wellness our products and treatments are based on real science, with proven outcomes. After extensive research, Dr. O’Rourke personally approves each and every product and treatment before we offer it to our patients. Why: Sunscreen only blocks 45% to 55% of UV light. When UV light enters the skin, it creates free oxygen radicals that damage skin cells and cause age related skin changes. Antioxidants neutralize these free oxygen radicals and thereby provide a second line of defense against damaging UV rays. Antioxidants contain vitamin C, which is not a stable vitamin and once exposed to oxygen can lose its anti-aging properties.However, Skinceuticals antioxidants, through studies at Johns Hopkins University, are biopsy proven to be stable and to penetrate deep into the dermis of the skin, where the UV light damage occurs. Why: Anti-Pigment serums usually contain a kojic acid which is a natural extract of the Japanese mushroom. Kojic acid works by inhibiting tyrosinase, an enzyme necessary in the production of melanin (skin pigment). Your serum should also contain anti-inflammatory and anti-bacterial cosmeceuticals, hyaluronic acid, for its hydrating and calming effects, and an exfoliating agent. Why:There are 2 components to an effective sunscreen: the chemical aka spf, and the reflective component. 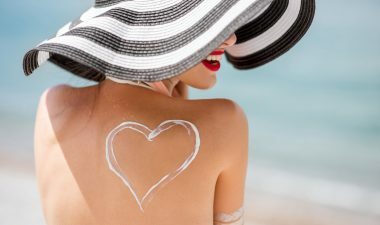 SPF factor blocks mostly UVB rays, preventing tanning and sunburns, whereas the reflective component blocks UVA rays, which are proven to be responsible for premature aging. Zinc oxide is the most effective anti-reflective component, but can be white and pasty when applied. Skinceuticals sunscreens have a patented formula with a molecular structure that allows zinc oxide to be applied without the pasty appearance, and come in various SPF’s for daily use or more intense sport related exposure. 5) Moisturizer.Surprisingly, the moisturizer is the least important component to the skin care regimen regarding the health of the skin and prevention of age related issues and skin cancer. But, it simply makes the skin look and feel so good! Apply Skinceuticals Retinol to face sparingly. Begin with .5%. Optimally, if tolerated, use every night and eventually increase to Retinol 1%. Recent studies have proven that Retinol is just as effective and less irritating, when compared to Retin-A. Alternate with Skinceuticals Retexturing Activator a less potent exfoliant, for dry days or when skin seems irritated. Why: Exfoliation is critical in maintaining healthy skin. It removes the dead skin cells, allowing the skin to replace the surface with healthy new cells.Sloughing of dead skin cells will give the skin a more radiant look. Retinol is ideal for exfoliation because it also stimulates collagen production to help with fine lines, and it protects against skin cancer. Why: Eye creams help correct puffiness around eyes, and protect against moisture loss, collagen breakdown, and free radical damage. 4) Additional products depending on skin issues/age, etc. A.Take care of that neck! Why:Contains salicylic acid to calm and prevent acne flare ups and reduce redness. Does this sound too complicated? It’s not.Let us help simplify it for you and recommend a quick and easy regimen to maintain the health of your skin. Call us at 720.583.1826 to set up a complimentary consultation!